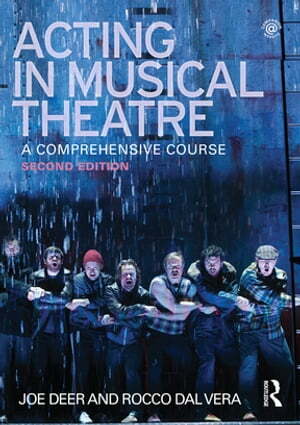 Collins Booksellers - Acting in Musical Theatre by Joe Deer & Rocco Dal Vera, 9781317911951. Buy this book online. Acting in Musical Theatre remains the only complete course in approaching a role in a musical. It covers fundamental skills for novice actors, practical insights for professionals, and even tips to help veteran musical performers refine their craft. A brand new companion website for students and teachers, including Powerpoint lecture slides, sample syllabi, and checklists for projects and exercises. Acting in Musical Theatre’s chapters divide into easy-to-reference units, each containing group and solo exercises, making it the definitive textbook for students and practitioners alike.